Recently, Google decided to expand its popular Google partnership program. In doing so, Google has decided to allow agencies, those who perform online marketing consulting services and other professionals online who wish to achieve every possible benefit from their relationship with Google to use its platforms. Earning Partner status and official approval from Google is a significant achievement, and it brings with it lots of responsibility. Google does not decide to trust potential Partners lightly! I am pleased to announce that Google has granted me this coveted status and that I am Google Partner accredited. Any agency or professional wishing to achieve Partner accreditation must fulfill certain criteria before they can be granted official Partner status by Google. The company requires strict certifications before it will issue certification. The agency or professional seeking accreditation must be certified in Google Analytics, AdWords Search, AdWords Mobile, AdWords Video, AdWords Display and AdWords Shopping. I have earned each of these certifications as part of my accreditation. But these certifications are not Google’s only requirement. Accredited partners must also demonstrate their ability to use best practices when managing client accounts, so that top performance is achieved. I use the latest best practices when working on your marketing campaign. My goal is to help you take your marketing budget and get as much as you can out of it. As a Certified Google Partner, I work directly with Google to make sure I am familiar with all the latest developments in online marketing. I have regular access to Google-approved training and product updates to contribute to making this happen. The Google Certified Partner badge serves to symbolize the knowledge and expertise I have with Google products. These partners keep their businesses healthy, have many happy customers and always implement Google’s best practices. Google puts so much faith into the online marketing companies that it has given Partner status to that Google features these Partners on its own website. Google Partner accreditation is important to me. I have put a lot of work over the years into making sure that I continue to fulfill Google’s requirements for this significant status. Google’s seal of approval is something I am very proud to have earned, and it means a lot to me to have it. Google Partner status means that I can offer you a better service that is more comprehensive. The insights I can share, the enhanced support I can provide you and your business, and the knowledge I possess regarding creating a strong online marketing campaign.  My expertise and experience with the Google AdWords platform means that when you choose me, you are choosing someone who is Google certified and who will make sure that your marketing investment is in the best hands possible.